The Northamptonshire countryside is going to be reverberating to the sound of thoroughbred V8 and V12 Ferrari engines on the weekend of 15/16 September. Once again the Italian manufacturer will be hosting the annual Ferrari Racing Days event at Silverstone which this year promises to be a bumper event. 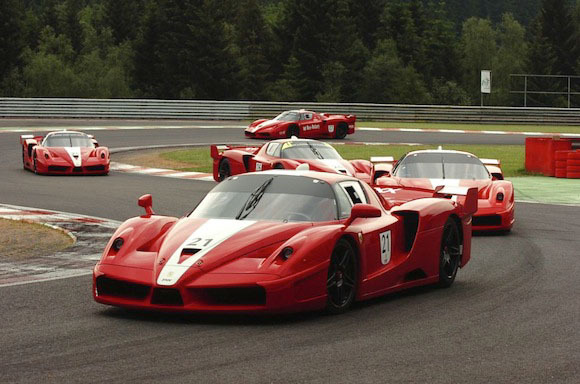 Ferrari Racing Days is the only motor racing event in the UK where Ferrari fans will see the exclusive FXX and 599XX, these development race cars taking to the track twice each day. Spectators will also witness a grid full of historic Ferrari F1 cars from Ferrari’s F1 Clienti department, as well as a packed schedule of races including the Ferrari Challenge Trofeo Pirelli and the Ferrari Club Challenge. 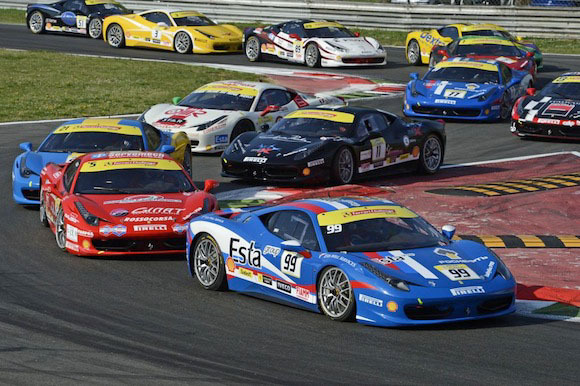 The Ferrari Challenge Trofeo Pirelli is a one-make racing series for Ferrari’s mid-engined V8 458 Challenge cars being raced by experienced as well as ‘gentleman’ drivers in two 30 minute races, being round 6 of the eight-race European series. The Ferrari Club Challenge is open to members of the Ferrari Owners Club (UK) with 355, 360, F430 and 458 Challenge cars in which they will compete for class honours. Apart from the end of season Finali Mondiali, the Ferrari Racing Days event at Silverstone is the only race meeting in Europe where Ferrari fans will be able to see all of these different track activities at the same venue on the same weekend. 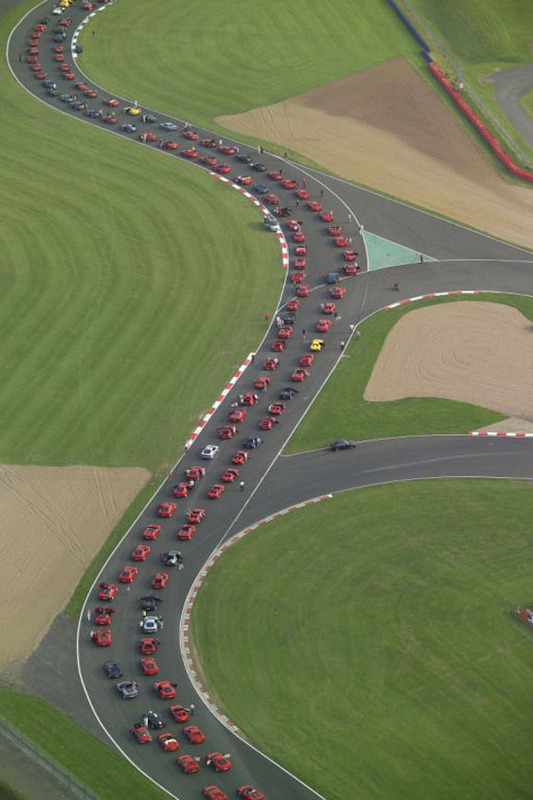 And as if that wasn’t enough, Ferrari North Europe is once again attempting to break the Guinness World Record for the largest parade of Ferrari cars. This spectacle will take place at 18h00 on Saturday 15th September. The previous record was set at the 2007 event when 385 cars took to the Silverstone Circuit, but this figure was later increased to 490 cars. To date more than 1000 cars have registered for this ambitious display of red metal, so it will be well worth waiting around to see that. Virtual Motorpix will be there trackside recording the whole event, so watch this space in the following few weeks.